How Long Will It Take to Lose Weight Once I Start an Exercise Routine? Starting an exercise routine helps you burn fat, gain strength and increase your flexibility. Working out regularly will produce weight loss quickly, particularly if you weigh more, have not exercised in a long time or choose an intense workout. Select a workout that suits your lifestyle, challenges you and raises your heart rate, and you can consistently lose weight and ultimately maintain a healthy weight. The key to losing weight quickly with a new exercise program is selecting the right type of exercise. 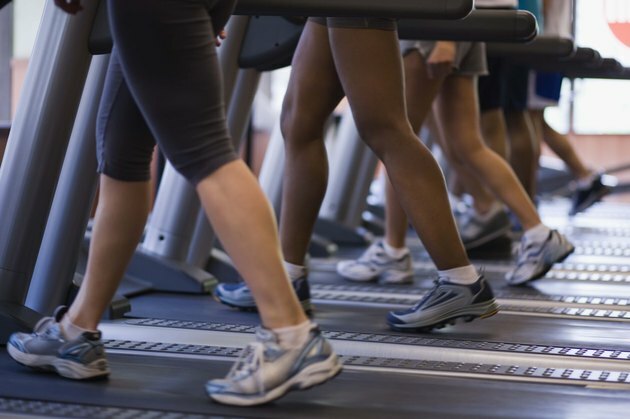 Overall, aerobic workouts raise your heart rate higher and for a longer period, resulting in the most fat burned. A 160-lb. person who walks two miles in one hour burns 183 calories. The same person walking 3.5 miles per hour burns 275 calories. A slow jog of five miles per hour burns 580 calories. If you jog every day, you can start losing weight in one week. Burning 3,500 calories will make you lose 1 lb. of fat. More intense aerobic workouts like running fast and jumping rope can have you losing nearly 2 lbs. per week. Cardiovascular exercise produces quick results, but building muscle can promote long-term weight loss. As you gain muscle, you lose fat. Your body uses more energy to support lean muscle mass, raising your resting metabolic rate. The higher your metabolism, the more calories you burn around the clock, even while at rest. Spend three 20-minute sessions per week doing resistance exercises such as power yoga poses, pushups, squat jumps, pullups, triceps dips, lunges and situps. Build more muscle by using weights or resistance machines. 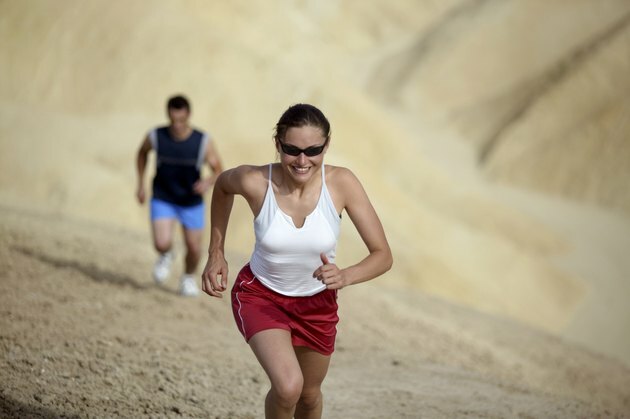 As you lose weight and get fit, you do not have to work as hard while doing your exercise regimen. However, the less you work, the less fat you burn. Keep your rate of weight loss consistent by making your workouts more challenging. Intensify walking or running by covering a hilly route or wearing wrist weights and pumping your arms. Add more weight to your strength training or do compound exercises like pectoral presses while squatting or biceps curls while lunging. Incorporate or lengthen speed intervals in which you work out at a sprint level before returning to your regular rate. Exercising will not produce quick weight loss, but it can support sustained weight loss and the maintenance of a healthy weight. However, exercise also stimulates hunger. As you implement a new exercise regimen, be attentive to how many calories you consume. If you increase your portion sizes or shift to more caloric foods, you will not lose weight. 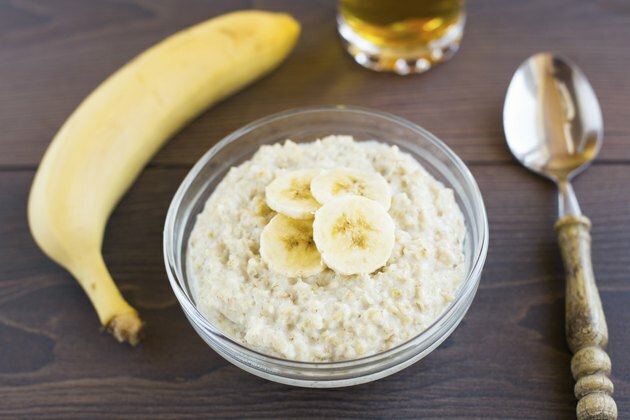 When you snack before or after a workout, choose lower-calorie foods that give you energy, such as bananas, unsweetened oatmeal or fresh berries.